Good. Presidents behave better when they know history is not only watching, but taking notes. 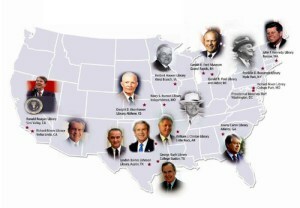 Map of the 13 Presidential Library administered by NARA. Photo: George W. Bush Presidential Library and Museum. 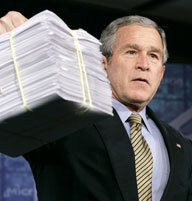 The Presidential Records Act has come a long way since George W. Bush’s attempt to eviscerate it in 2001. The Act recently gained teeth that will, among other improvements: establish a process for the publication of presidential records after the president leaves office, making it harder for former executives to block publication of their records by citing executive privilege; forbid executive branch officials from conducting government business over personal email, thereby evading the FOIA; and modernize records management by expanding and clarifying the definition of electronic records.